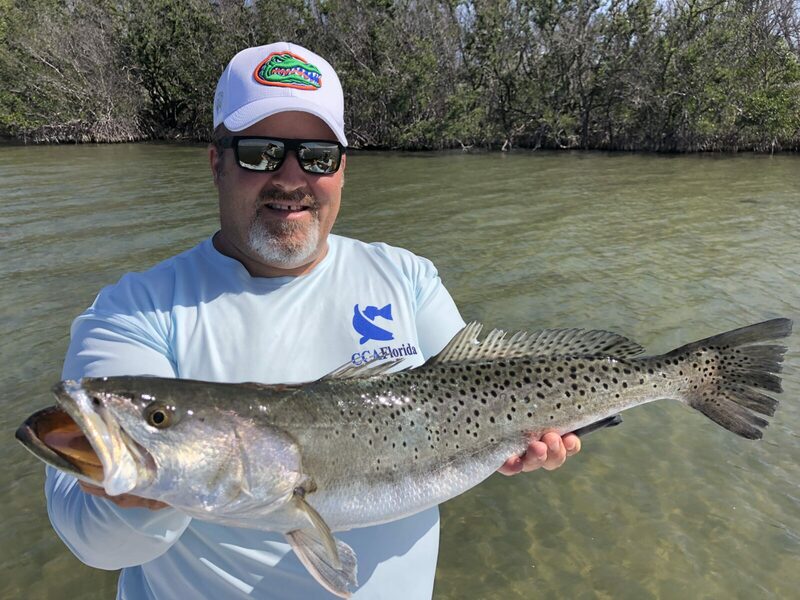 Over the past several years, CCA Florida has heard comments from a number of guides regarding the legality and practice of allowing their clients to catch and retain the guides “limit” of fish while on a charter. Those of you that have made the decision to help conserve the fisheries by allowing your clients to retain only their legal limit are sometimes told that other guides may allow their customers to also keep the guide’s limit, and that they would use one of those other guides the next time they book a trip so they can keep the extra fish. Guides have asked us to help by working with FWC and creating a rule that would not allow harvest of inshore fish, especially redfish and trout, by a guide while on a paid charter. This rule is already in place as it pertains to snook and permit. This is a conservation effort that many guides believe will help the fishery for years to come. FWC will be discussing this issue during their February meeting in Gainesville. We are continuing to solicit information from guides around the state on their thoughts pertaining to a no take for guides while under charter, and FWC would love to hear from you. Please send your comments to FWC via email at Marine@MyFWC.comor you reach out to CCA Florida Director of Advocacy, Trip Aukeman at taukeman@ccaflorida.org.